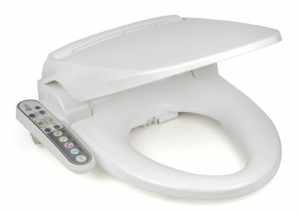 Washloo Classic bidet seat. Fixed control. Only £425 including delivery. FREE DELIVERY AND FULL 24 MONTH GUARANTEE! Washloos are designed to fit most oval toilet pans. 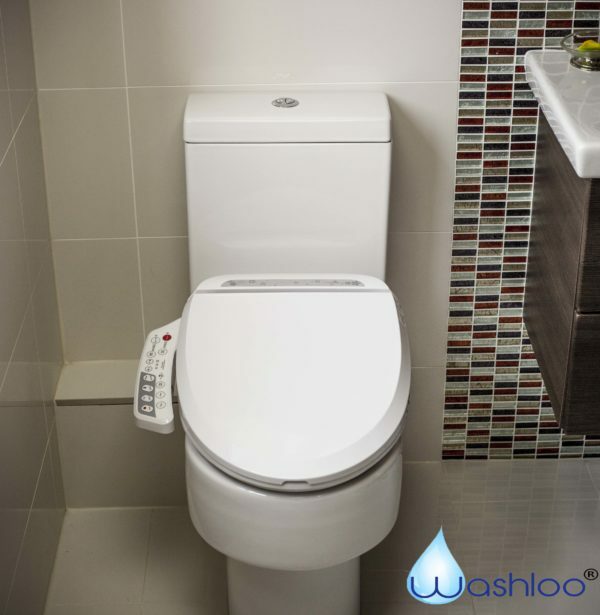 Choose from ‘Round’ and ‘Elongated’ models. The Round model is 480mm from the back of the unit to the front of the seat. 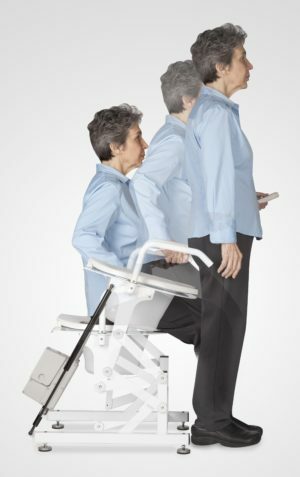 The Elongated model is 520mm from the back of the unit to the front of the seat. The width of the unit is 410mm. 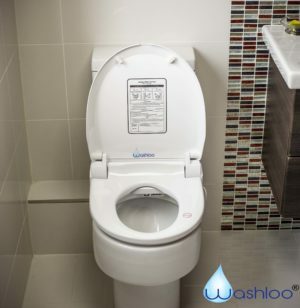 They are not compatible with square design toilet pans. Note: The top surface of the pan must be level and flat (no raised areas or shapes). 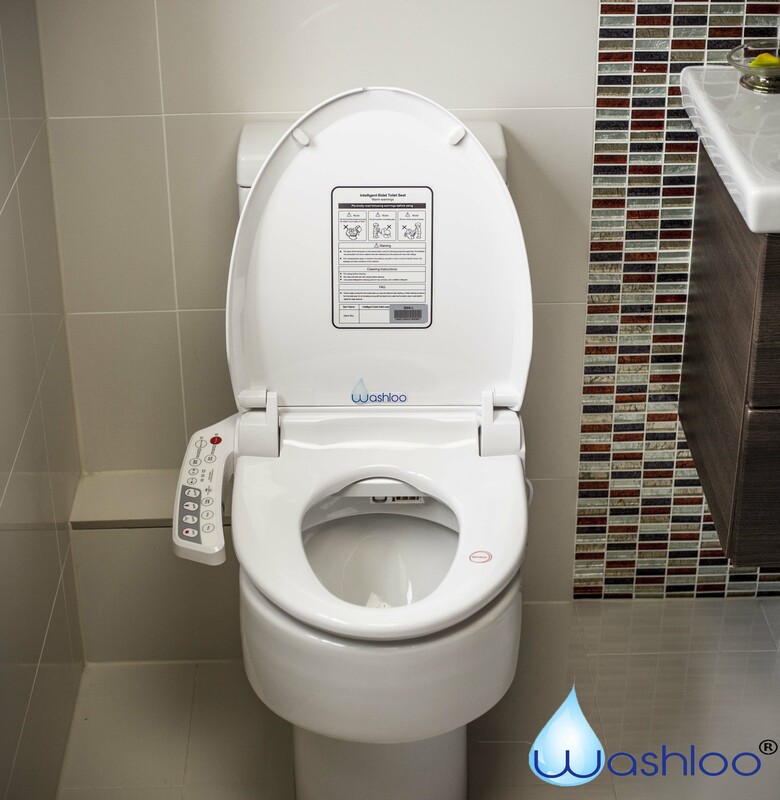 Use the instructions and diagrams to establish which seat will best fit to your toilet. 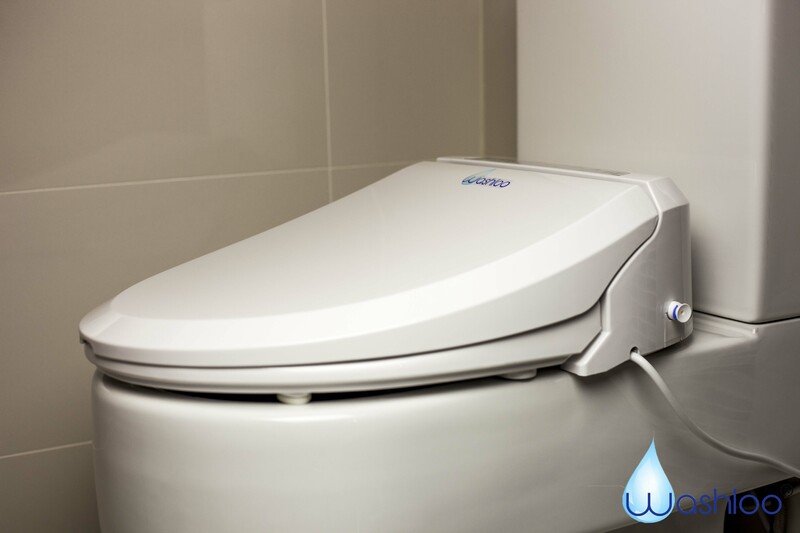 The adjustable attachment brackets allow the Washloo to adapt to your toilet pan. If you are unsure then please contact us. 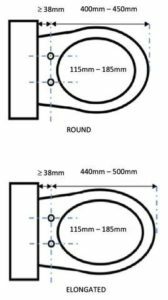 Measure the distance from the centre of the bolt holes to the front of the toilet to determine if you have a round or elongated toilet (see diagram). Measure the distance between your mounting bolt holes. Ensure the space between centres is 115mm to 185mm. Finally, measure the distance from the centre of the bolt holes to the toilet cistern or wall to ensure there is sufficient clearance. 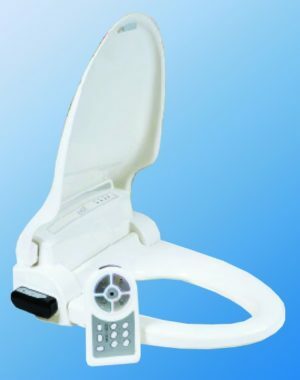 The toilet bidet needs at least 38mm of clearance.